What is your list of competition achievements and placings? 1st place in Bikini Novice Division ICN, 2015 and competed in Bikini Diva INBA 2015. Each season I become a better version of myself and more confident. 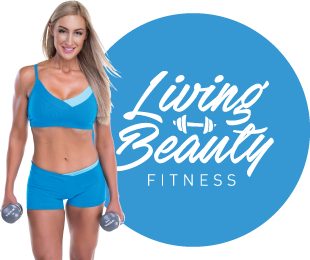 How long have you trained with Living Beauty? I have trained for 5 years under their guidance. I have really appreciated the constant positivity and support from Gemma and Amelia. It has been helpful mentally and I have learned that when I love myself, I want to train and keep eating healthy as I know that is what my body needs. How do you stay motivated and have you ever gone off track? Yes of course! Just because I have won competitions I have the same motivation as others, that comes and goes. Amelia released a new eBook program and I love that she is constantly coming up with new exciting programs. After short 2 weeks following Amelia’s new program, I felt a change in my mood appetite and had extra energy to train. The most important aspect of the program was that it made me feel confident and gave me a positive energy and not feel sluggish to complete my day to day tasks. Thank you Amelia for providing 4 week bikini body as these books really help me feel happy and confident again if I need a boost! You will find delicious meal plans, recipe books & exercise programs to reach your goals.